Gluten-free galette recipes are a non-baker’s dream – they’re rustic, easy to assemble, and make gluten-free baking look like a breeze! Sometimes gluten-free baking can seem daunting, especially if you’re new to living gluten-free, but these easy to make gluten-free galettes will help ease you into gluten-free baking. Galettes are rustic by nature – it’s a simple pie crust with rough edges that are folded up over part of the filling. They can be sweet or savory, and the crusts can vary from traditional pie crusts to even cornmeal crusts. 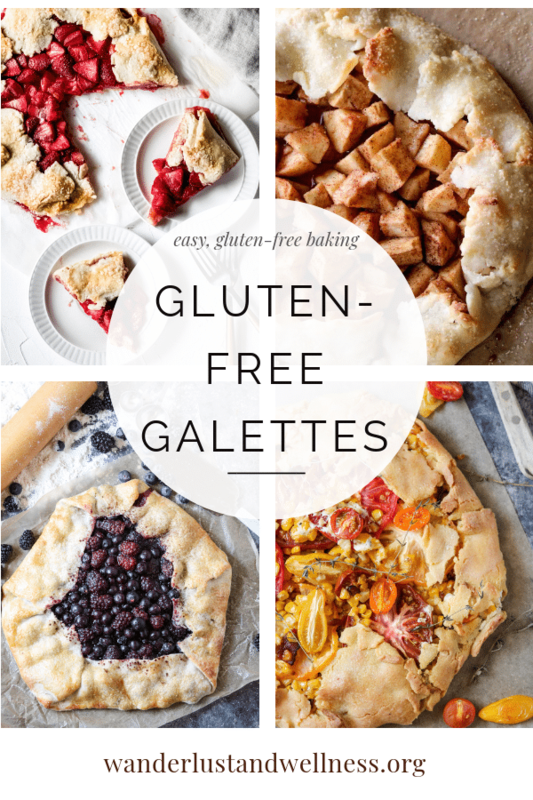 I’ve collected some of my favorite gluten-free galettes into one spot – I just know you’ll love them! From sweet to savory, to mini-galettes and non-traditional crusts – these are some of our favorite gluten-free galette recipes! 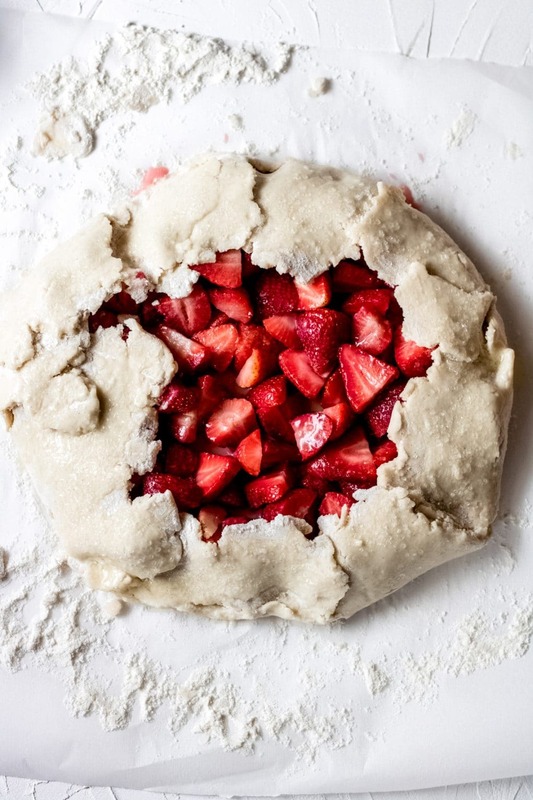 Gluten-free Strawberry Galette Recipe – Nothing says spring and summer like a fresh gluten-free strawberry galette! Gluten-Free Galette Dough Recipe – A step-by-step tutorial on how to make gluten-free galette dough. 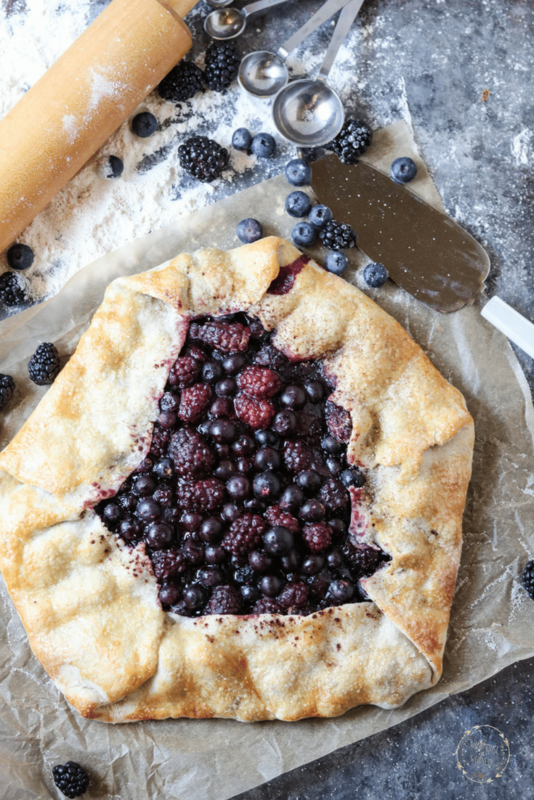 Rustic Berry Galette – Perfect for your next summertime pot luck! Gluten-free Cinnamon Apple Galette – A fall favorite, perfect for your fall baking lineup! 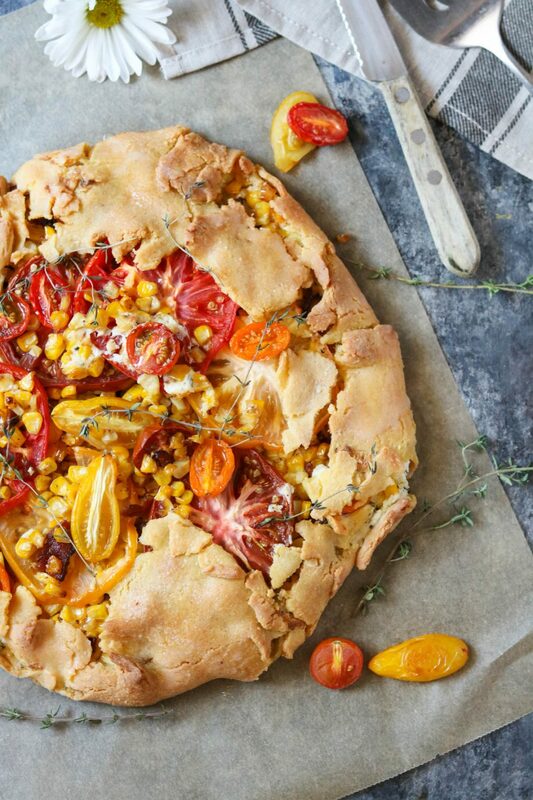 Heirloom Tomato and Corn Savory Galette – Perfect for those late summer heirloom tomatoes! Yes! Baked galettes can be frozen for up to 3 months. Gluten-free galette dough can be made ahead of time and refrigerated for up to 3 days or frozen for 2-3 weeks. What is in a galette? The possibilities are endless! You can fill your gluten-free galette from sweet fruit to savory meat and cheese fillings – get creative and explore in the kitchen with your galettes! Can I freeze a galette? How to you reheat a galette? Place the thawed galette onto a baking sheet and heat in the oven at 350 degrees F. for 15 minutes or until the center is bubbly and hot. A baked galette can keep at room temperature for up to two days – if refrigerated it should keep for up to one week. What gluten-free flour is best for baking? Recommended Kitchen Tools for Gluten-free Baking! Looking for a specific gluten-free galette recipe? Shoot us an email or comment below to send us a request!